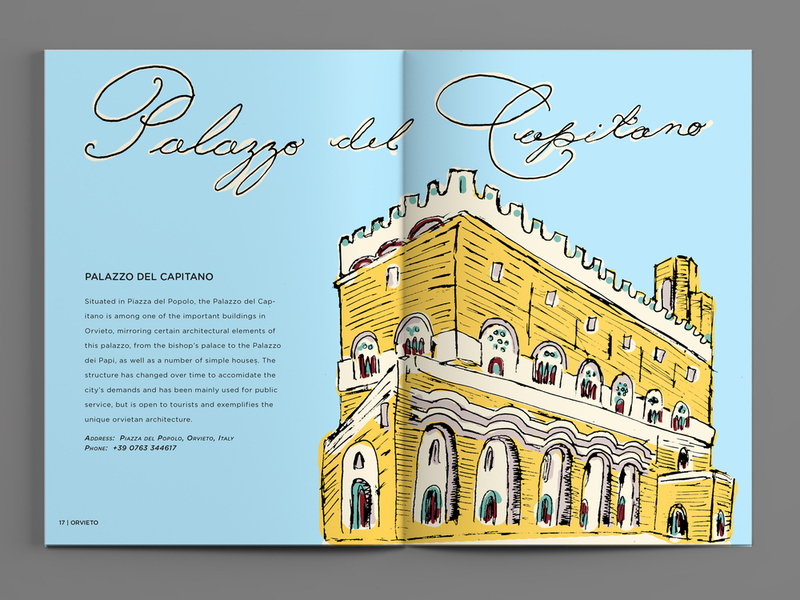 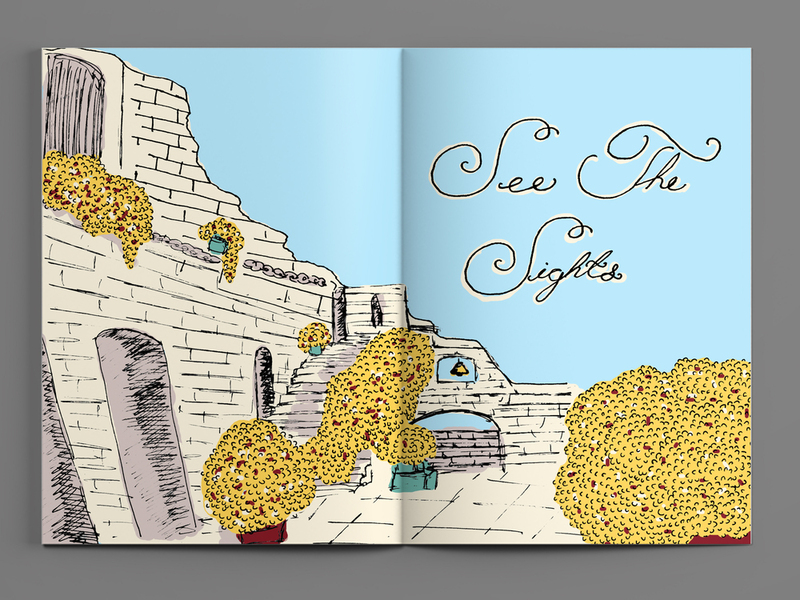 This little book brings to life the beauty of a hilltop town in the Italian countryside. 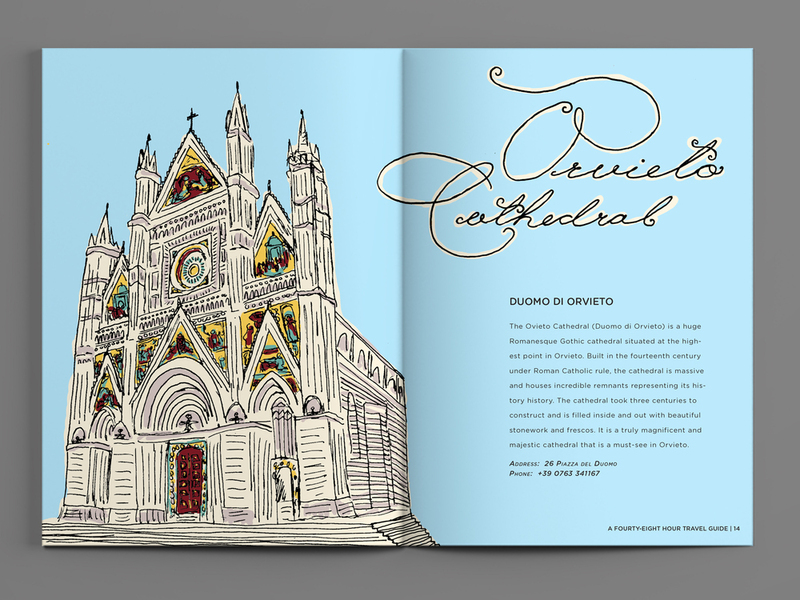 I was lucky enough to discover Orvieto on a trip to Italy and spent the day walking around and enjoying the culturally rich area. 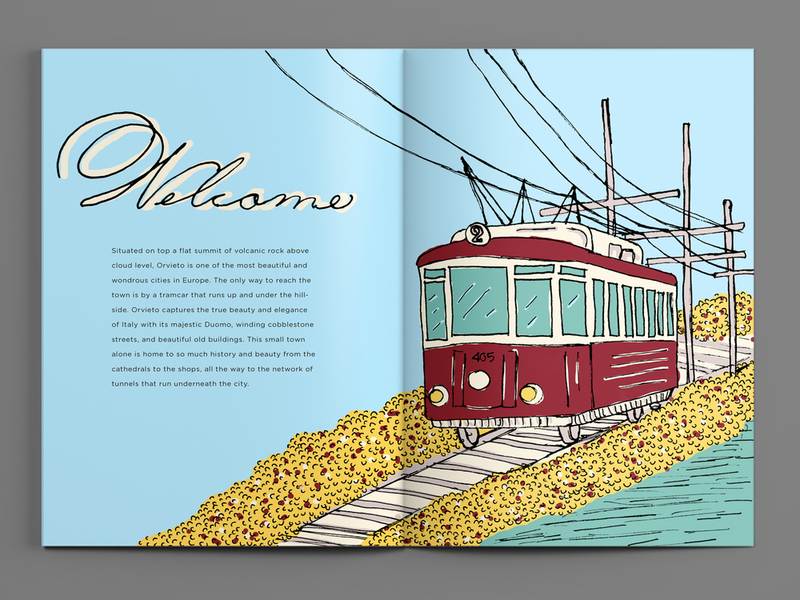 When prompted to design a forty–eight hour travel guide, I jumped on the chance to illustrate Orviet’s unique quaintness. 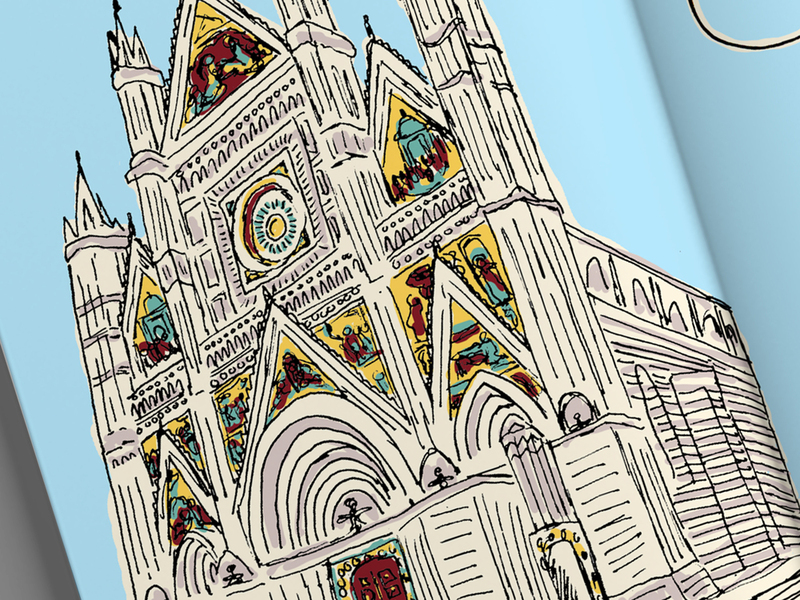 My illustration style was inspired by a series of postcards I collected while there, as well as the intricate and playful designs of the pottery Orvieto is known for. 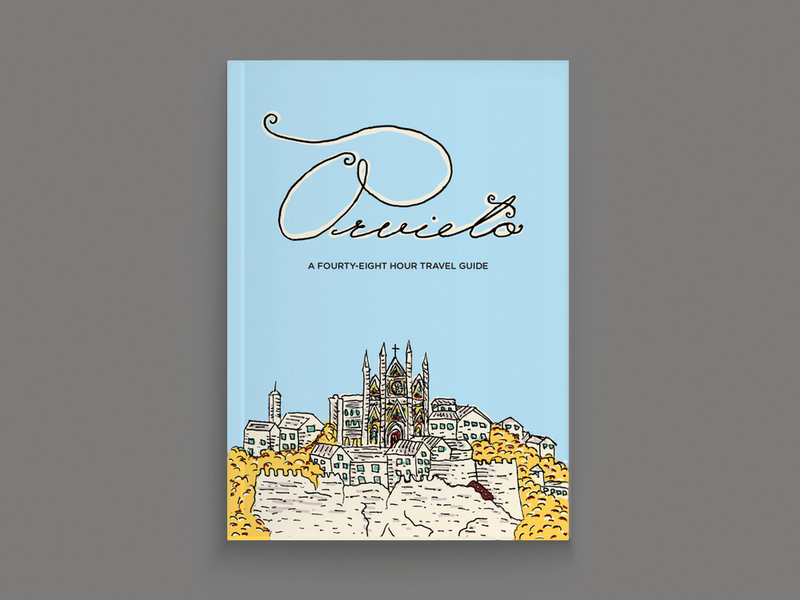 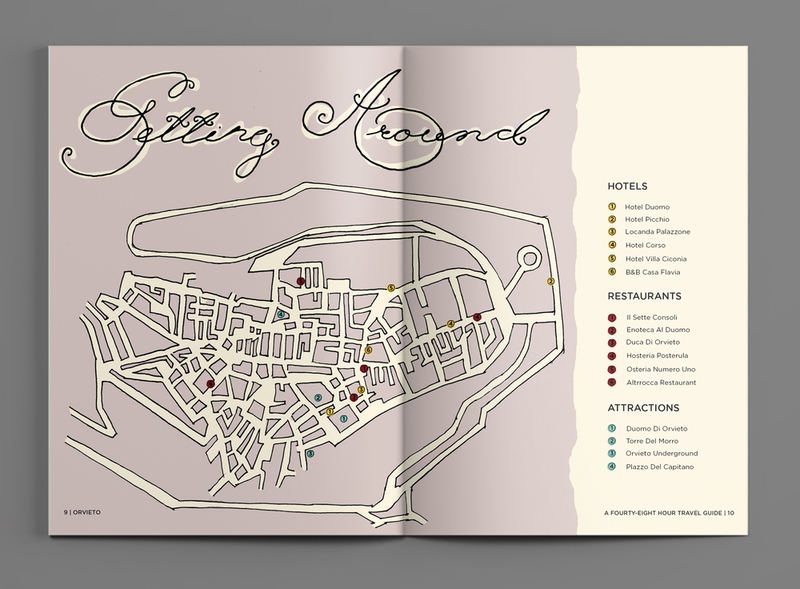 I wanted this travel guide to feel special and unique, like a part of Orvieto itself.